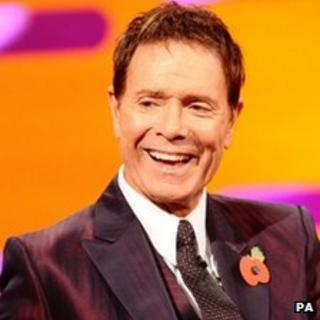 Veteran crooner Sir Cliff Richard has railed against a new 1960s radio station for refusing to play his hits. "They're lying to themselves, and more importantly they're lying to the public," said the 71-year-old. Digital station Absolute Radio 60s said Sir Cliff's songs did not fit "the cool sound... we're trying to create". "Timeless acts of the decade that remain relevant today are The Beatles, The Stones, The Doors and The Who, not Sir Cliff," said DJ Pete Mitchell. The station's stance has enraged Sir Cliff, whose many hits include The Young Ones, Congratulations and Summer Holiday. "I sold more singles in the UK than The Beatles did, and more singles than any other artist on the planet in Britain," he said. Sir Cliff has sold in excess of 21 million singles in the UK, according to Guinness World Records. The Beatles are estimated to have sold around 17.7million including EPs. However, Sir Cliff has released more than four times as many singles as the Fab Four during his six decade career. The singer, who is currently promoting a new DVD, has long complained about radio stations refusing to put his music on their playlists. In 1998 he took the unusual step of releasing a disc under the false name in an attempt to prove his music was being snubbed. The following year his Christmas single Millennium Prayer topped the UK singles chart, despite getting scant airplay. Absolute Radio 60s launches on 22 November and describes itself as the "home of The Beatles, Stones and Motown". Can Cliff Richard make it in America?